This book is fantastic it actually gave me a bigger picture of some people from the rich society. People think that money is power. Pray ,God will answer your prayer. Every dog has its own time.Definitely going to buy the book. Be strong for those who are still trapped in the World of Omotoso Camp and Company. Wake up mothers fight for your daughters. This book is power, such a blessing. Bare is thee book. Honesty, reality and facts. Rea leboha moradi wa Phamotse ka seipone le kganya. I have been postponing to read this book for a while, and once I started i couldn't put it down, It took me a day to read the entire book and am so glad that I did because I became more confident irrespective of what I have or not!! 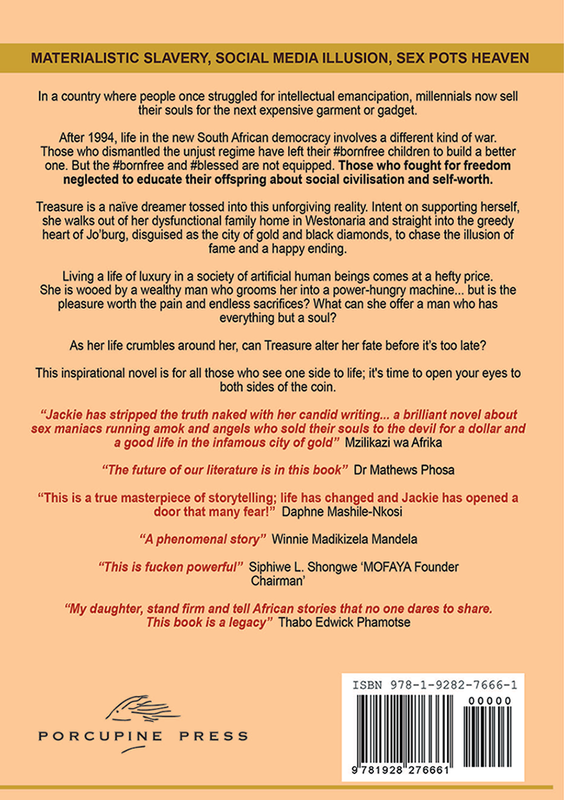 The book BARE saved my life, i was im the edge of entering the life of Treasure because of a missing father, the need of being loved and money always being upsent. I truely thank you Jackie P.
An eye opener! 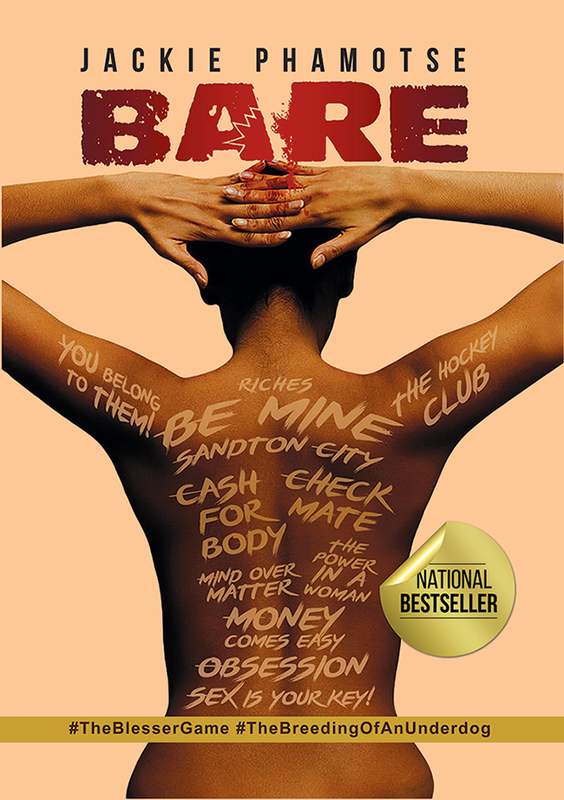 Bare provides insight into the challenges that face young people and the pressure that comes with certain lifestyles. Social media can dipict unrealistic views of life and Bare sends a strong message for one to live within their means. ‘Finished the book in 5 days. Wow it’s quiet an enterprising read🤓🤓🤓... I can’t wait for the next publication! Its a wow. I just finished reading this book and its an eye opener to most who envy things not knowing where they come from. You really lived to tell it all and God bless you because He never judge any of His children and you are not an exception. Started reading book yesterday and finished it today. I couldnt put it down. Amazing work Jackie☺. Shocking and eye opening book. i true definition of a black strong women.true dream never die. I started reading this book on Monday. Tears all over. Such a brave woman. Thank you for sharing your story. I am rely inspired. Of all the experience n secrets u had within me, I can now open up n talk about then. 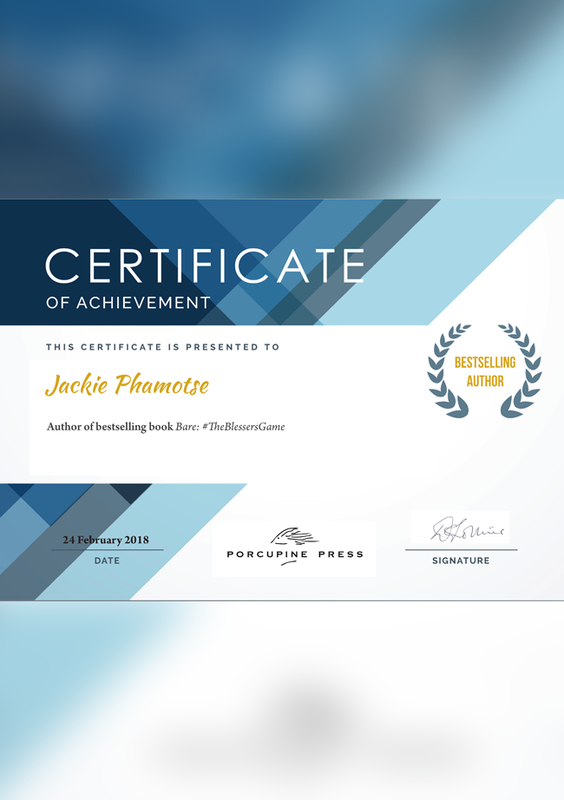 I read this book wth tears in my eyes for I have experience sme of the things Jackie has experienced in her life . .
Hello, My excitement on joining the movement is undescribable. I am yet to get copy and will surely post my opinion. Kind Regards, Lerato. Can I have your shoes... Thy are adorable... Even if they don't fit I'll keep them as memorabilia. What a Book! It saved my life!! !